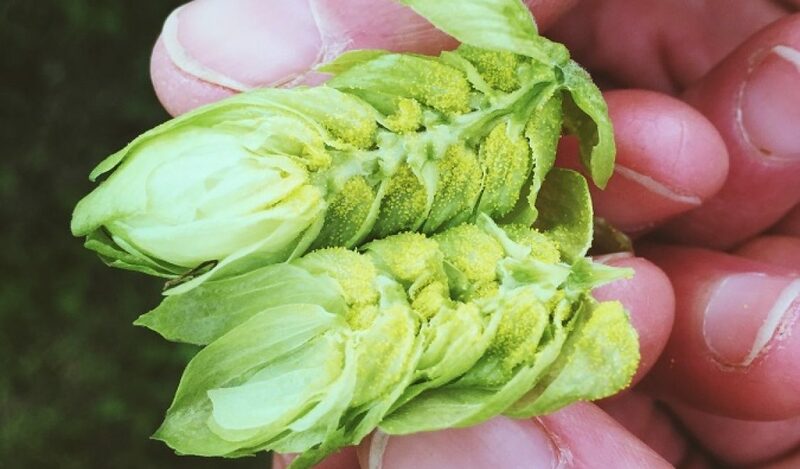 Inside the hop cone is where the magic of the hop is found, the lupulin glands. Lupulin glands contain the resins and oils most brews are looking for when making beer. Although a multitude of chemicals are present in these glands, the three main ones are alpha and beta acids, along with essential oils. 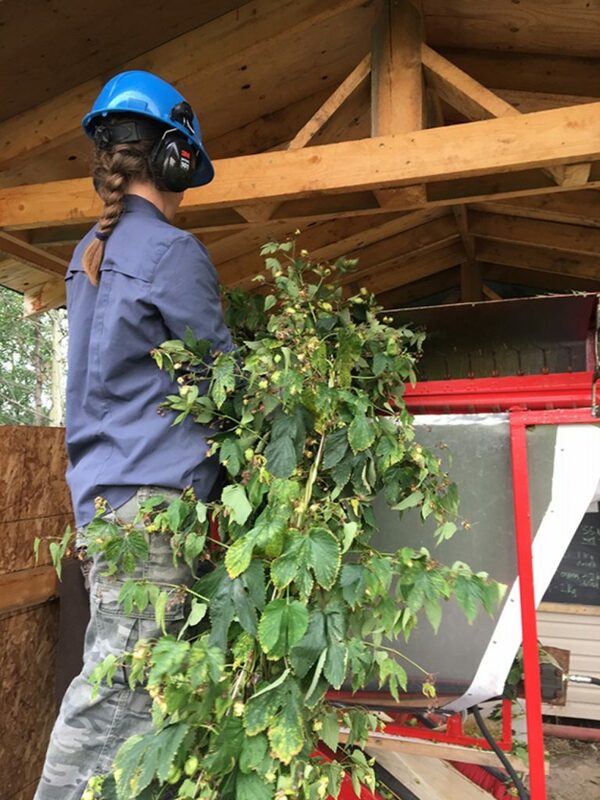 Northern Girls Hopyard crew harvesting early hops – getting their mojo on for the big cascade yield coming up! Thumbs up from the thresher. A harvest crew’s challenge is to keep awake with lupulin dust in the air released from the cones during hop bine threshing. 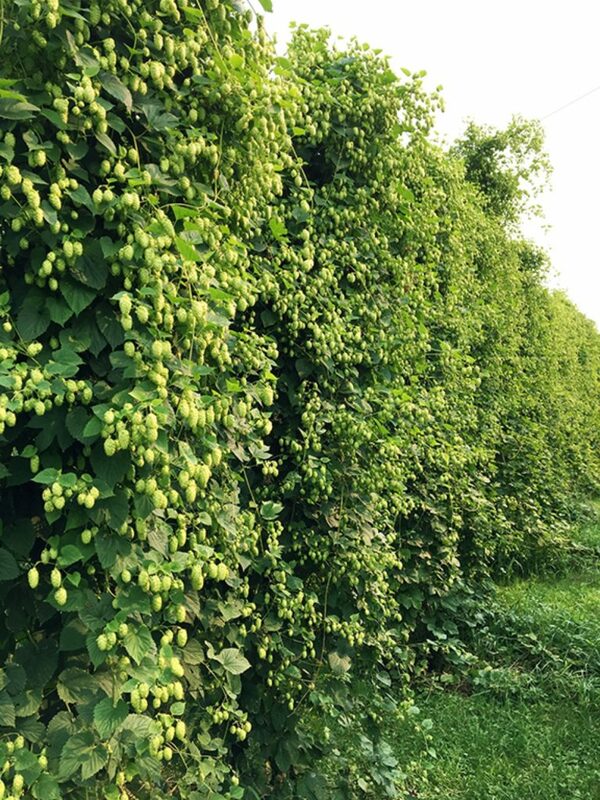 We aim to keep all that flavouring lupulin in the cone from harvest to brew kettle! 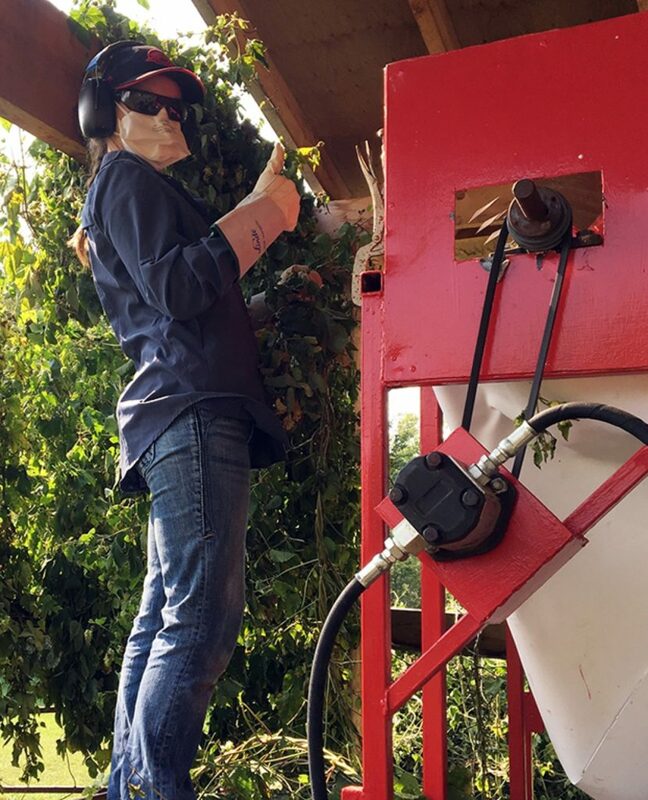 The thresher person adjusts the speed of the spinning threshing fingers on the machine to reduce cone shattering and flying lupulin. But there’s always a little of the golden yellow pixie dust in the air that can make a person ‘loopy’, a comfortable sleepy relaxation that sets in and just makes you want to curl up next to the dog on the thresher floor and close your eyes for a wee bit. A Dogs life. 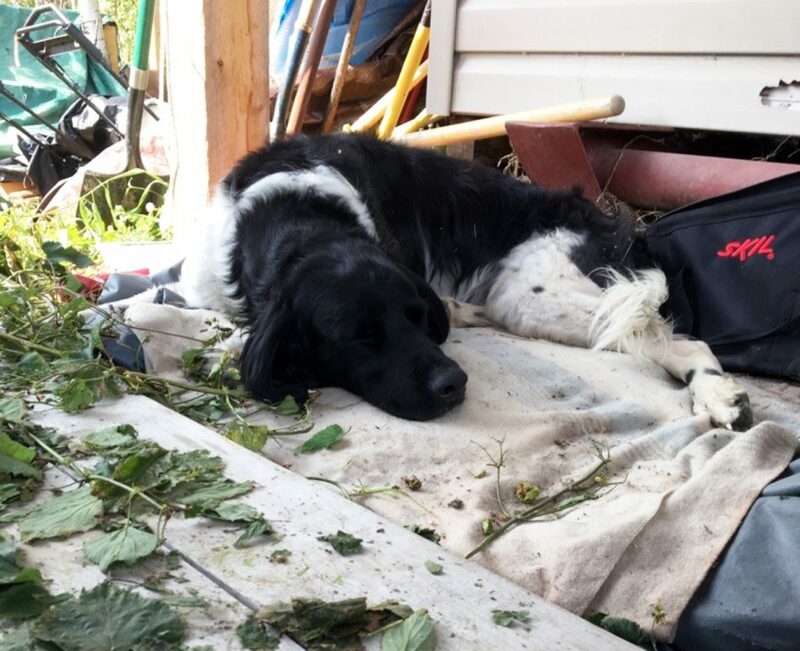 Xola sleeping on the harvester floor while everyone is hard at work.